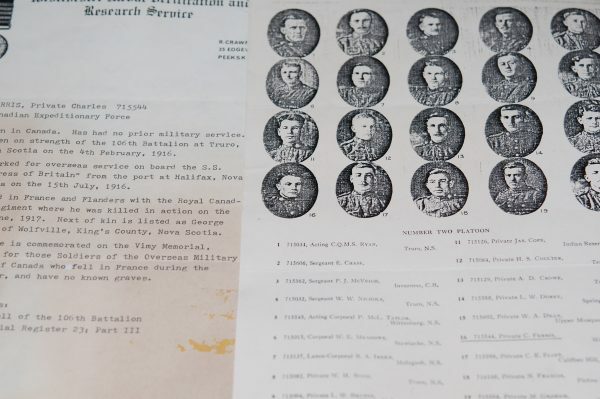 Home » What's New » A Great War pair, Memorial Plaque and Memorial Cross Charles Farris (106th Btln and RCR)! 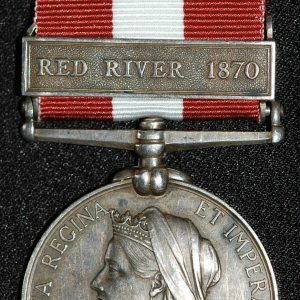 British War medal (715544 Pte C. Farris, R.C.R. 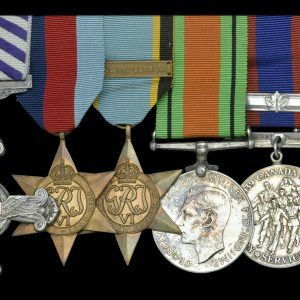 ); Victory medal (unnamed); Memorial Plaque (Charles Farris); Memorial Cross (Geo V) (715544 Pte C. Harris). With copied photograph, scroll, research papers. 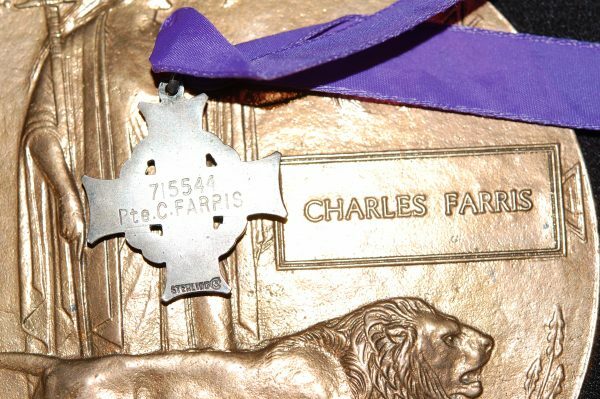 Charles Farris was born in Wolfville, Nova Scotia on 31st March, 1897. Taken on strength with the 106th Battalion at Truro in February, 1916. Embarked for overseas service on board the S.S. Empress of Britain from the port of Halifax on 15th July, 1916. 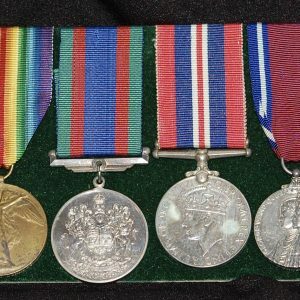 Served in France and Flanders with the Royal Canadian Regiment where he was killed in action on the 9th June, 1917. 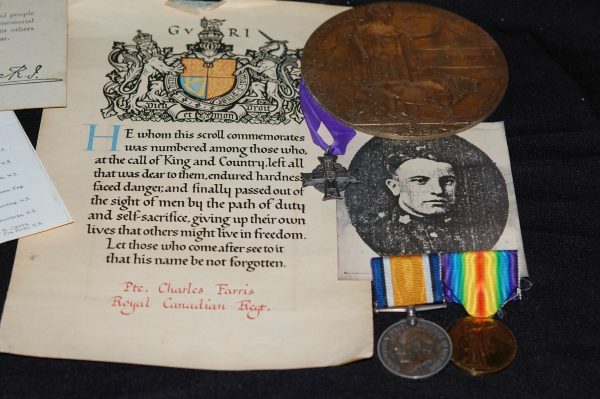 Next of kin listed as George Farris of Wolfville, NS. 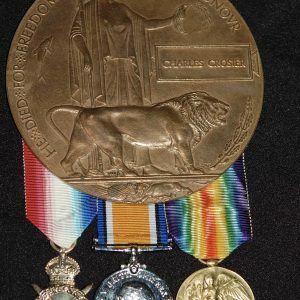 Farris is commemorated on the Vimy Memorial, France, for those soldiers of overseas forces who fell in France but have no known grave.